Archie Bell wants to relay a message to all the folks who plan on seeing him at this year’s Ponderosa Stomp. “Don’t forget to tell everybody to ‘Tighten Up!’” he exclaimed, adding, “Nowadays we really have to ‘Tighten Up!’” Since Bell has been doing precisely that for a full half century, it’s a safe bet he’ll be tightening up the Stomp for all he’s worth. “I’m Archie Bell and the Drells, from Houston, Texas, and we not only sing, but we dance just as good as we want,” he announced to the world–bold words fully backed up by a red-hot groove from the T.S.U Toronadoes, one of the city’s hottest funk bands. Million-seller status loomed just around the corner, but celebrating would have to wait. Bell was stationed in Germany in the employ of Uncle Sam when “Tighten Up” topped the pop and R&B charts, making him unable to immediately profit from its success. The Henderson, Texas native was initially inspired by his gospel-singing mother, Ruthie Bell. Younger brother Ricky Bell became a college football and NFL star, but Archie wasn’t seduced by the gridiron. Bell, instead, crossed over to the secular side of music while attending E.O. Smith Junior High School. Conrad Johnson was a noted educator at Kashmere High School and an R&B saxist who had made late ‘40s 78s for the Gold Star and Freedom labels as a leader in addition to doing session work. Johnson’s influence remained strong long afterward. The Drells formed during this period. Personnel changes within the young aggregation eventually shook down to Bell, Wise, Billy Butler, and Joe Cross. “I got up and went to a concert once at a place called the City Auditorium. It’s not there anymore. I went to see Sam Cooke and Jackie Wilson. I was about 17 years old. And I was sitting there watching the show, and when Sam Cooke came on with no introduction, nobody moved. I never had seen that. Usually people were clapping their hands,” Bell says. The Drells’ big break came thanks to KCOH deejay Skipper Lee Frazier, who operated fledgling Ovide Records on the side. “We used to do shows for him,” Bell remembers. “He’d have talent shows, and most of the time we won first place. We did a show in a place called La Porte, Texas, Sylvan Beach, and he had about 1500 people. And after the show that night, he came in the dressing room and said ‘Y’all want to record a record?’ Everybody said, ‘Yeah!’ You know? It wasn’t a question of asking your mama and daddy. Everybody said, ‘Yeah!’ That was one of the reasons of how we got started, to do a record. Bell’s assured self-penned ballad “She’s My Woman, She’s My Girl” (backed with a funk-steeped “The Yankee Dance”) was issued on both the East-West label and Ovide in 1967. 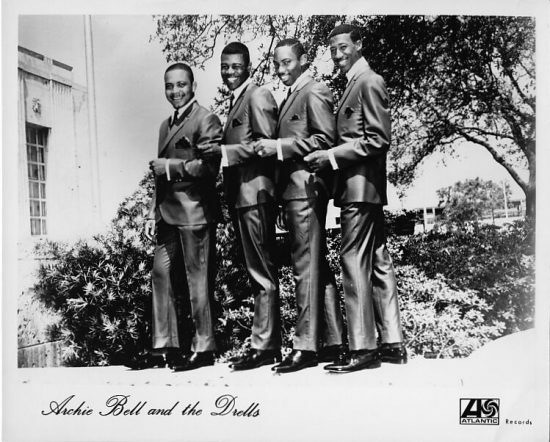 Even this early in his career Bell was featured on the record as “Archie Bell and The Drells” under both record labels. Ovide issued a follow-up later in the year, a heartfelt Bell-penned ballad entitled “A Soldier’s Prayer, 1967,” which was backed by Chicano singer Sunny Ozuna’s San Antonio-based band, the Sunliners. The ballad mirrored Bell’s reality all too closely as Bell had reported for active duty in the military by then. Inspiration for Bell’s signature theme struck when he was dealing with foreboding news. When Archie inquired as to what dance the Drell was doing, Butler responded that it was the Tighten Up. “Tighten Up” rode a fluid, funky two-chord vamp provided by the T.S.U. Toronadoes, an expansive outfit that named itself after the college that most of them attended (Texas Southern University) and Oldsmobile’s hot new auto, the Toronado. Anchored by guitar-playing brothers Cal and Will Thomas, bassist Jerry Jenkins, and drummer Dwight Burns, the Toronadoes had been recruited as Ovide’s house band by Frazier. “Tighten Up” had been an instrumental workout that the band had already devised prior to meeting Bell. Bell and Butler quickly added the lighthearted lyrics, and the aggregation cut the anthem at Jones Recording Studio in Houston. The song took off regionally in late ’67 when Atlantic Records in New York caught wind of its potential and picked it up for national consumption. There was only one problem: Atlantic Records inexplicably chose to promote the opposite side of the single, the catchy Bell original “Dog Eat Dog,” as the plug side. Archie had a full-fledged smash on his hands. It topped both the pop and R&B hit parades during the spring of 1968. Bell could not capitalize on his success straightaway, however, as he was confined to a hospital bed in Germany. “I’d had an accident on the autobahn and broke my left leg,” Bell explains. Convincing Bacon or any of his fellow GIs that he had a million-selling record on the radio was no easy task. “About two weeks later, an article came out in Overseas Weekly, which was a military paper, saying, ‘The richest GI in the military since Elvis!’ Elvis had just left from over there a few years before I got there. So everybody believed me then. They found out I wasn’t lying to them,” he says. The next step in Archie’s musical maturation came via two of Philadelphia’s hottest young producers. “After I came home on one of those 15-day passes, we were working at a club in a place called Longside, New Jersey, which was a club called Loretta’s Hi-Hat. The lady who owned the club was Kenny Gamble’s godmother. Her name was Mama Loretta. The guy that was the manager of the club then was [Motown promo guru] Weldon A. McDougal III,” says Bell. Bell’s first trip to record with Gamble and Huff at Philly’s Sigma Sound in May of ‘68 produced a pair of major hits. “I Can’t Stop Dancing” hit the streets on the heels of “Tighten Up” and proved another blockbuster, going Top Five R&B and Top Ten pop. “If you listen to ‘I Can’t Stop Dancing,’ ‘Tighten Up’ is similar,” says Bell. “‘I Can’t Stop Dancing’ has verses. ‘Tighten Up’ was like a jam, like a house jam, a party jam. The only thing different, ‘I Can’t Stop Dancing’ had verses.” The chord progression dreamed up by Gamble and Huff and arranged by Thom Bell was a tad more complex than the one driving “Tighten Up,” but there’s no mistaking its high-stepping groove. The highly infectious Bell-penned “You’re Such A Beautiful Child,” was done a month or so later at Atlantic studios in New York. Gamble and Huff also wrote and produced the eminently danceable “Do The Choo Choo,” which made it three hits in a row for Bell. Studio vocalists subbed for the Drells during this period. “That was a little thing that Gamble and Huff did. They always wanted to keep me a dance group,” Bell recalls. In November of 1968, Bell was back at Joe Tarsia’s Sigma Sound to work some more studio magic with Gamble and Huff at the board. Kenny and Leon wrote and produced “‘There’s Gonna Be A’ Showdown,” Bobby Martin’s glossy arrangement underscoring the competitive side of dancing. It proved a bigger seller than “Choo Choo,” breaking into the R&B Top Ten in early ‘69. 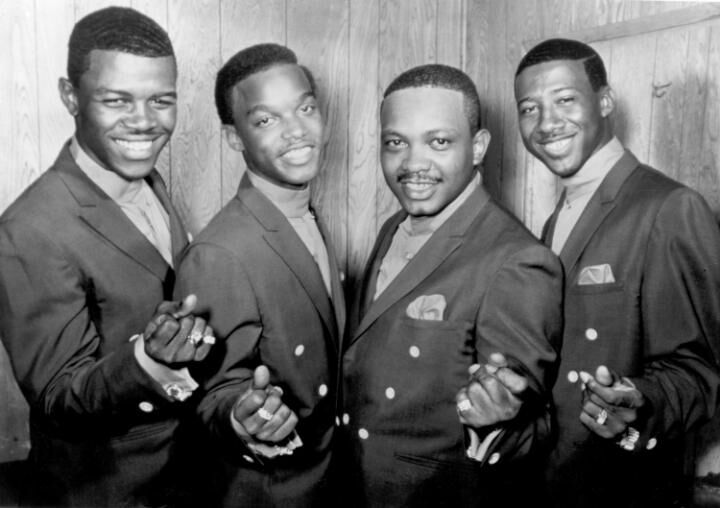 Brothers Melvin and Marvin Steals wrote the mid-tempo flip “Go For What You Know.” They’d later brainstorm the Spinners’ smash “Could It Be We’re Falling In Love”. 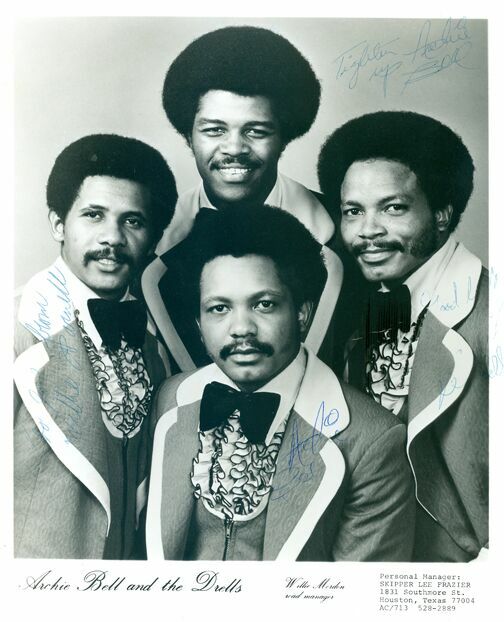 Gamble teamed with Thom Bell to pen Bell’s next chart entry, the irresistible “I Love My Baby.” The song’s complicated contours required two arrangers: Martin and Thom Bell. Working with musicians such as guitarists Roland Chambers and Norman Harris, bassist Ronnie Baker and drummer Earl Young came with the territory when Gamble and Huff were at the controls. Bell was finally released from the army on April 19, 1969. “I was happy as a rat in a cheese factory,” says Bell. Bell conferred with Gamble and Huff a month later on the creation of his next hit single, “Girl You’re Too Young.” Thom Bell and Martin scribed a gliding arrangement for the song. Kenny and Thom Bell were back in a dance bag on the storming flip “Do The Hand Jive.” Gamble and Huff were the auteurs of Archie’s violin-enriched “My Balloon’s Going Up,” a hit in the autumn of ’69. 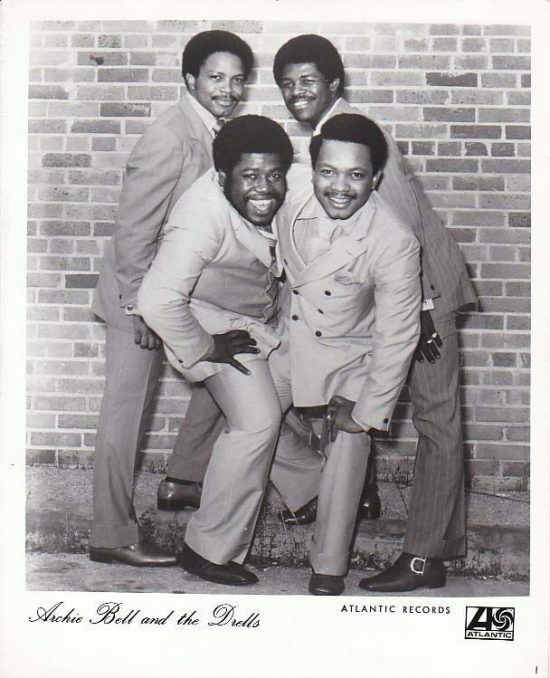 Kenny and Leon’s uplifting “Don’t Let The Music Slip Away,” released in the spring of 1970, somehow avoided the R&B hit parade altogether despite a prototypical Philly soul arrangement by guitarist Roland Chambers. Gamble, Huff, and Martin tailored the swaying “Houston Texas” to Archie’s strengths for the B-side. There’s Gonna Be a Showdown, Bell’s last album for Atlantic, was also his most consistent, containing all of his recent Gamble and Huff-produced singles. The album also featured the tough “Green Power,” an unlikely “Giving Up Dancing,” and “Mama Didn’t Teach Me That Way.” With their chart action slipping, a change of studio venue was imminent. Bell would be returning south, but not to Houston. Archie waxed his next Atlantic session in June of 1970 at the newly inaugurated Muscle Shoals Sound, opened by Rick Hall’s ex-studio musicians in direct competition with Hall’s FAME Studios. Atlantic staffers Dave Crawford and Brad Shapiro were in charge. “When we first got to Muscle Shoals, we walked in and all these white guys were sitting up behind the instruments. I said to myself, ‘I don’t believe this is gonna work!’ but I had forgotten that Aretha Franklin had been down there,” he says. “Get It From The Bottom,” Bell’s first single from the Shoals hookup, was an odd choice —a recent release by a veteran Chicago soul group, the Steelers. Wade Marcus’ propulsive arrangement was thick with strings and horns and Bell sounded great, but the public avoided it. Choreography was always a priority for the touring Drells. “At the beginning, I was doing all the choreography and the vocals, teaching it. I was in charge of dress, everything they did. But later on, I let my brother, Lee Bell, take over the choreography,” says Bell. “When I was in the army, he was the group’s road manager. We were working in New Orleans once, and one of the Drells—his name was Charles Gibbs—left. Back then, you could fly from New Orleans to Houston for about $25, so he left New Orleans to come back to Houston to eat a bowl of his mama’s beans and to see a married woman. That’s how he lost his job,” Bell recollects. Crawford and Shapiro tried again with a revival of Sam & Dave’s Isaac Hayes/David Porter-penned “Wrap It Up,” and the ploy worked. The thundering single denting the R&B hit parade in late 1970 with Bell’s own forceful “Deal with Him” occupying the other side. Bell’s May ‘71 release “I Just Want to Fall in Love” was the work of Prince Phillip Mitchell, a soul singer from Louisville who was a longtime pal of Bell’s. Atlantic Records went back to Gamble and Huff for Bell’s swan song titled, “I Can’t Face You Baby,” a ballad collaboration between Huff and three members of a vocal group called the Corner Boys. That was it for Bell and Atlantic. “I always said that you sign up with them, you can’t leave them when you get ready, but they’ll drop you,” muses Bell, who waxed a slowed-down version of “Patches” for Atlantic before Clarence Carter got around to it. Bell’s rendition, produced in Muscle Shoals by Crawford and Shapiro, was vaulted. Before long, Bell moved to Glades Records, the province of Miami mogul Henry Stone. Despite this initial skepticism, two of Bell’s Glades releases became hits. Bell was still recording in Muscle Shoals, but Mitchell had been elevated to producer statuswhen he wrote the churning “Dancing To Your Music,” arranged by keyboardist Barry Beckett. A third Mitchell-helmed Glades offering, “Girls Grow Up Faster Than Boys,” missed the charts altogether by year’s end. It was time for Bell to make a move back to Philly, where Gamble and Huff now headed their fabulous Philadelphia International empire. They welcomed Bell back with open arms. “That’s when I say I went to college. That’s where I got my PhD in music, by watching them guys and working with them. They really made everything correct, plus they were great musicians. McFadden and Whitehead did a lot of writing for me after Gamble and Huff got so busy they couldn’t produce anything. They kind of turned us on to Gene McFadden and John Whitehead, and people like Bunny Sigler, Phil Terry, all of those guys that wrote songs,” Bell says. The strategy clicked. Signed to Gamble and Huff’s TSOP (The Sound of Philadelphia) logo and recording at Sigma Sound, Archie and his Drells scored their first hit for their new label in the summer of ‘75 with “I Could Dance All Night,” produced by Sigler who was one of the song’s composers and lushly arranged with a disco tinge by bassist Ronnie Baker. 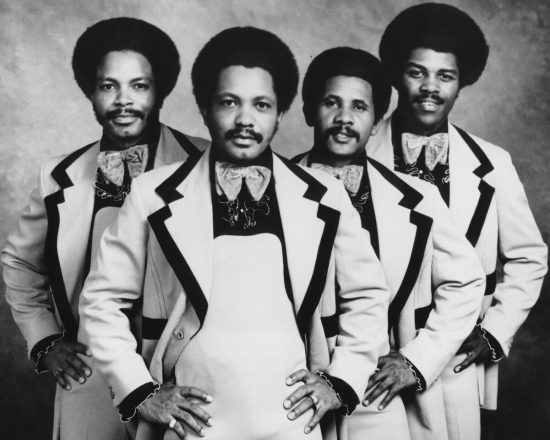 It was followed just before the end of the year by the disco workout “The Soul City Walk,” written and produced by McFadden, Whitehead and Victor Carstarphen, which also climbed the R&B hit parade. Huff joined producer/arrangers McFadden, Whitehead and Carstarphen to create “Let’s Groove,” Bell’s early ’76 blockbuster, which propelled him and the Drells into the R&B Top Ten for the first time in seven years as disco fever swept the land. All three tracks distinguished the group’s TSOP album Dance Your Troubles Away. Nonetheless, Bell and the Drells scored their last major seller in 1979 with another dancer, McFadden and Whitehead’s “Strategy” –the title track of his Philly International farewell LP. Bell’s last Philly International release, “Show Me How to Dance,” fell through the cracks. Archie and his Drells parted ways that same year. Bell then went solo, posting a 1981 R&B chart entry with his “Any Time Is Right” for the New York-based Becket logo. Archie Bell will most definitely be doing his show at this year’s Stomp, electrifying the proceedings just as he did the last time he starred here with his non-stop dance classics (and maybe a ballad or two as well).